For this project, I learned about mind-wandering and its broader context through secondary desk research, which laid the foundation and ground work to create a Speculative fiction around mind-wandering. Furthermore, I immersed myself in a smartwatch user’s life for 3 weeks by wearing and using smartwatches. Micro-interactions principles were applied when designing for the smartwatch’s graphical user interface. Moreover, I extrapolate ideas from scientific research papers to be able to use in the fiction. Goal of this project is to use graphic design methods for finalising user interfaces with focus on Graphical User Interfaces (GUIs) and its relation to Tangible User Interfaces (TUIs). The production of a simple GUI prototype involves a short smartwatch product analysis, a sketch phase, and production of sketch prototypes. 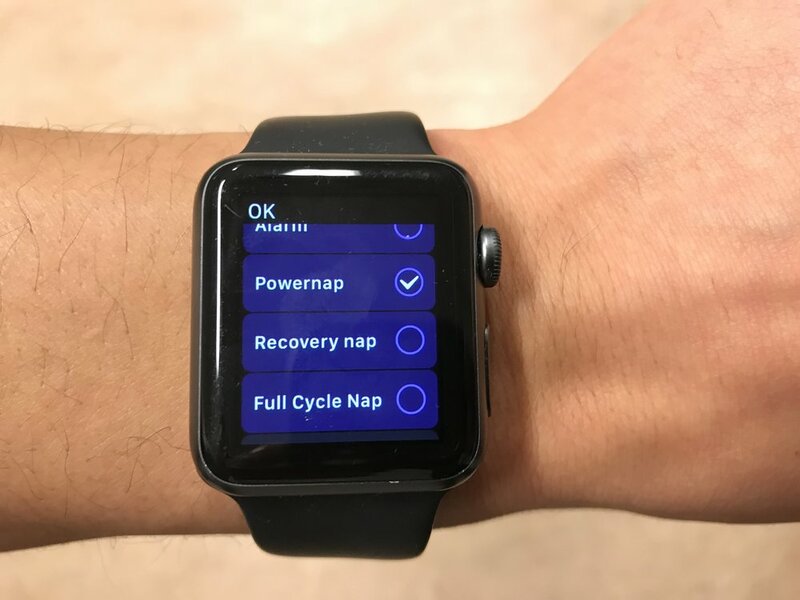 My experience with the Apple watch can be summarised to three functions I frequently used during the three weeks: Checking the time, checking the heart rate monitor whenever I do sport activities, and sleep tracking monitor before bed time. The remaining functions of the Apple watch, like taking a call or the message function, were left untouched most of the time. Time is a complex topic. What did great thinkers had to say about that? 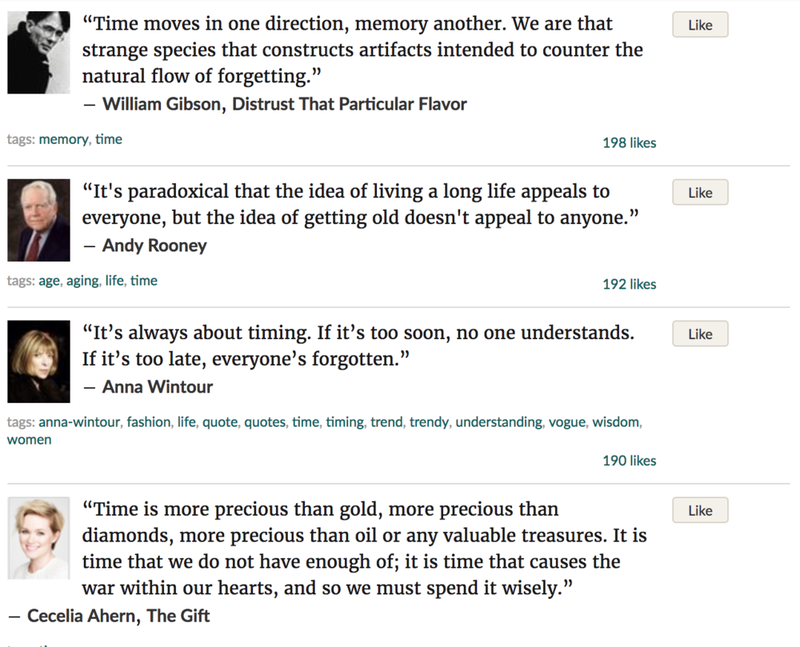 Quotes about time were collected and analysed in relation to the daily use of smartwatch. The science-fiction author William Gibson for example, notes that humans are "strange species" who build things like watches so that they can "counter the natural flow of forgetting". This quote inspired me to think about ways to manipulate natural flows – for example, how to stop time. I find mind-wandering fascinating, as it can be seen as a passive way of travelling through inner landscapes of your mind. Five minutes are enough to dream a whole life, that is how relative time is, stated by Mario Benedetti. Why are we sometimes daydreaming? How are spontaneous thoughts triggered? Who is not daydreaming? Is a good thing or a bad thing to daydream? Questions like these brought me to the theme mind-wandering – an action that produces opportunities for inner action. When mind-wandering occurs, what happens to you is that your current train of thoughts begin to transit from presence to absence. This transition is, in my view, comparable with travelling from one timezone to another. For example, when travelling to the East from Amsterdam to Tokyo, you will make it later at the destination, which means you have lost time and don’t get to live them. Travelling back to the West from Tokyo to Amsterdam would mean that you will travel into earlier time zones, and you will keep setting your clock back – you gain time back, you get to relive them. On the other hand, gaining back time when going back from absence to presence, is not possible, as once your mind wanders, you spend time simultaneously. This time-zone concept makes the foundation of how to make a user’s mind-wandering activities visible on the smartwatch. Fig.1 shows the regular time on the watch – 12:02. When entering the mind-wandering monitoring mode (Fig.2), time is set back to 11:02. The user has lost about one hour of their time due their mind-wandering activities that happened throughout the day. The yellow stripes indicate mind-wandering in various lengths, from seconds to minutes. All those yellow stripes add up to the one hour loss, which is also illustrated as a transparent cone, shown on Fig.3. There are three different ways to monitor your wandering mind: The continuous mode continuously monitors your mind-wandering activity throughout the day. The calendar mode, gives you the option to monitor your mind-wandering activity at a specific point in time planned in your Apple watch calendar feature. The third way is to use the Apple watch timer feature, allowing the user to determine the duration of monitoring. The orange line at the outer area illustrates the monitoring duration. For example, continuous monitoring is shown as a full orange circle. 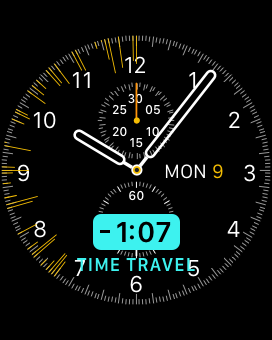 The overlooked, in this case, is the Apple Watch Calendar feature, the Timer feature, and the under-utilised Time-Travel feature. The feature Time Travel allows you go back and forth in digital time. 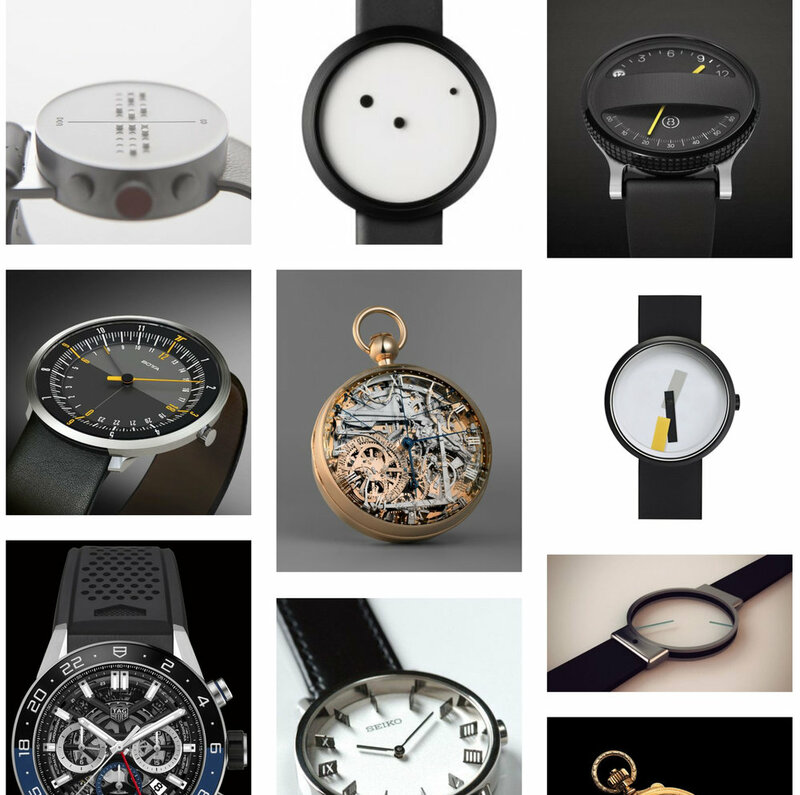 You can see everything that was or will be displayed on the watch at any time. In this concept Time Travel is utilised as a navigator through recorded mind-wandering activities happened earlier the day. The feature also lets you schedule measurements that help to mitigate episodes of mind-wandering. For example, as soon as your mind begins to wander (detected through biometrical data), the time will stand still and eventually makes the smartwatch vibrate. As soon as your mind begins to wander (detected through biometrical data such as pupillary data), the time will stand still and eventually makes the smartwatch vibrate. The vibrating watch reminds me of your current state of mind. The user can schedule a specific time through either the monitoring modes or travel time feature. The user can turn off the notification by placing their hand briefly on the watch surface. Visual cue for mind-wandering: Time stops. During the monitoring period between 12pm - 1pm, time stops when the mind wanders . User can also determine monitoring periods in advance through the Travel Time feature. A video explanation that shows the main functions of the mind-wandering monitoring application. It is hard to believe that technology could actually monitor an invisible phenomena such as mind-wandering. Yet, embracing, for example, eye-tracking practicalities that have been researched by the science community, helps to make the concept more believable. 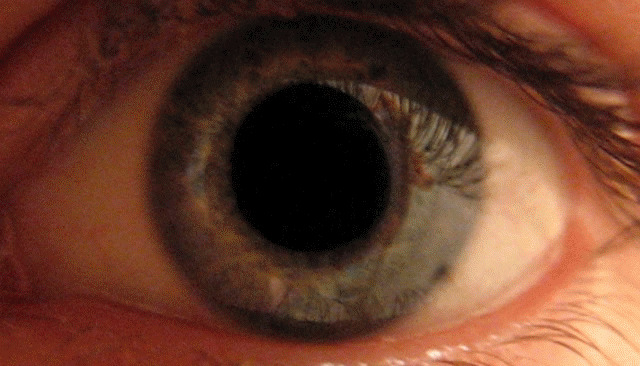 The gaze position, blink frequency and in particular the pupil size can be correlated with the occurrence of mind-wandering episodes. What if sensorial contact lenses become reliable predictors of mind-wandering; being able to measure pupil dilation, measure eye movements, knowing how long someone gazes? Eye tracking. Image by Björn Markmann. Pupil constriction and dilation. GIF by Greyson Orlando. The future of contact lenses – being able to collect pupillary data?